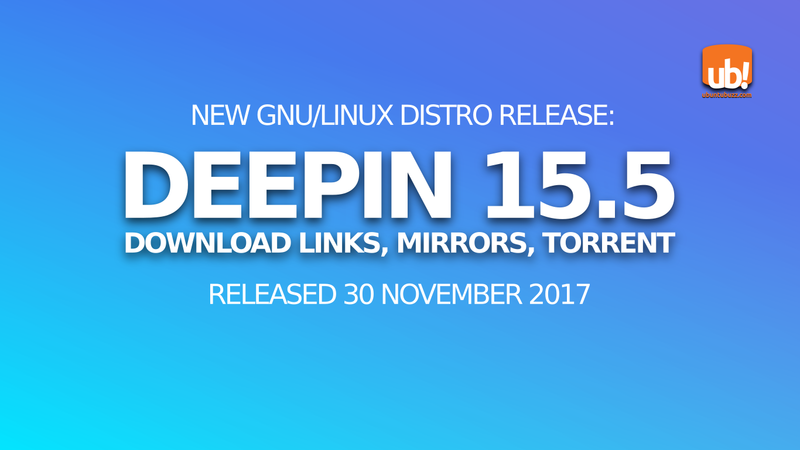 deepin GNU/Linux 15.5 released at Thursday, 30 November 2017 with so many new features. Here are the official download links, with some mirrors, and unofficial torrents. My comment: I tried to use official link but it was extremely slow. When I tried Google Drive link, it was so fast and stable. My comment: I recommend you to use Linuxtracker's instead. If you don't know how to torrent, read BitTorrent tutorial here.